We concentrate our full potential in producing swabs with renowned quality, certified by the relevant external bodies. 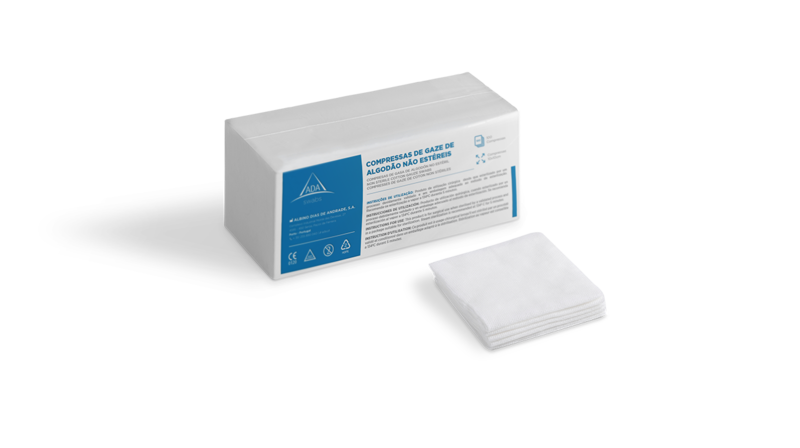 ADA SWABS sterile gauze swabs are produced according to the European regulatory standards by means of a duly validated steam sterilization process at 134 ºC, in cleanrooms as per ISO standards. 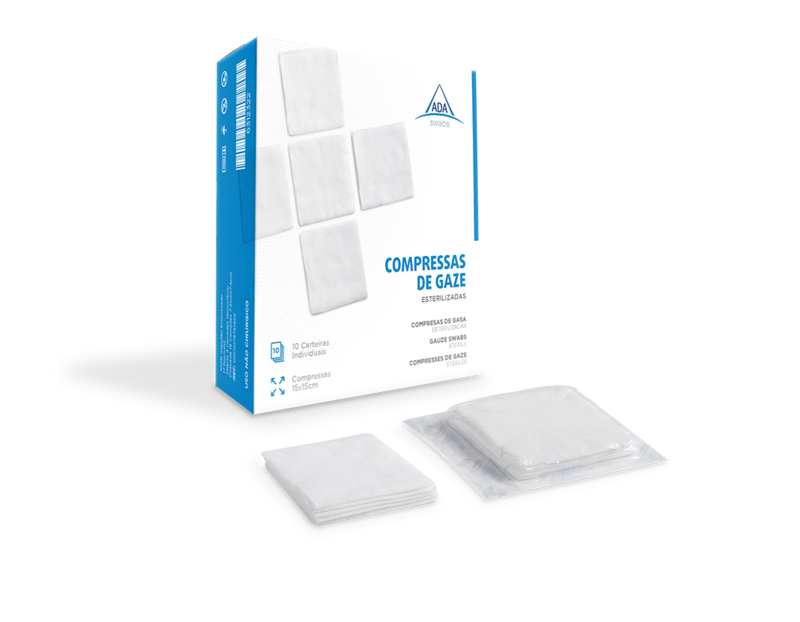 Hydrophilic cotton gauze swabs with regular or security fold. Must not be unfolded while used. 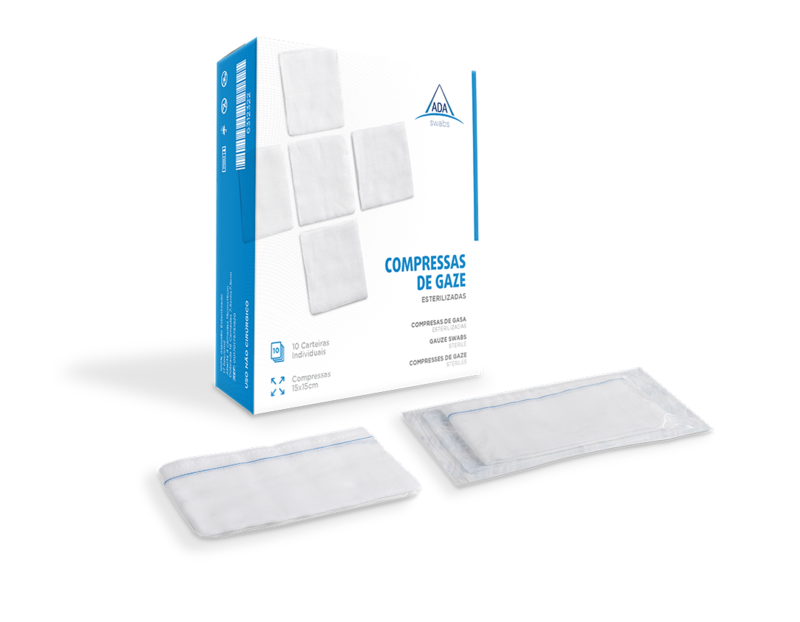 Designed for surgical use and to manage the micro-environment of a wound. Hydrophilic cotton gauze swabs, folded into several layers and stitched edges. Available with central stitching for improved strength and firmness. Designed for surgical use and to manage the micro-environment of a wound. 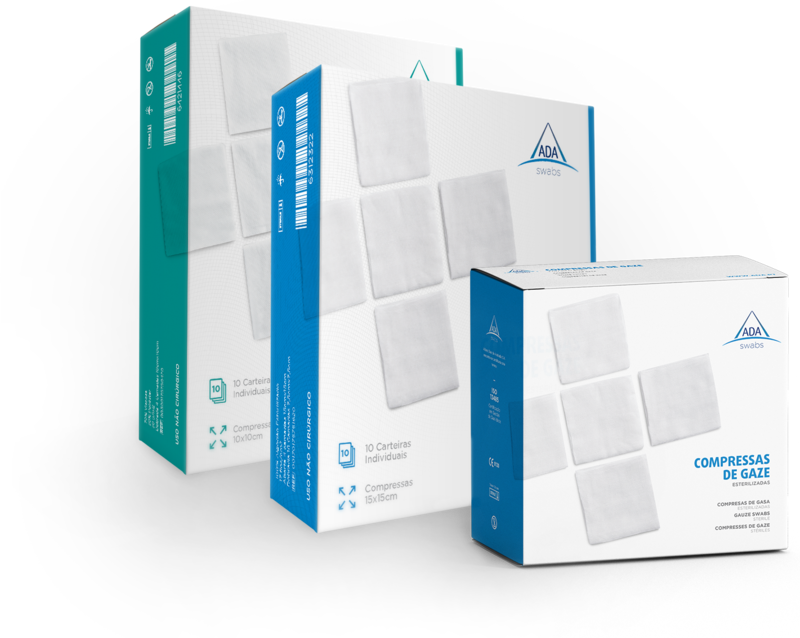 Hydrophilic cotton gauze swabs with X-Ray contrast thread for improved safety in use. Available in Standard and Stitch versions. Designed for surgical use. 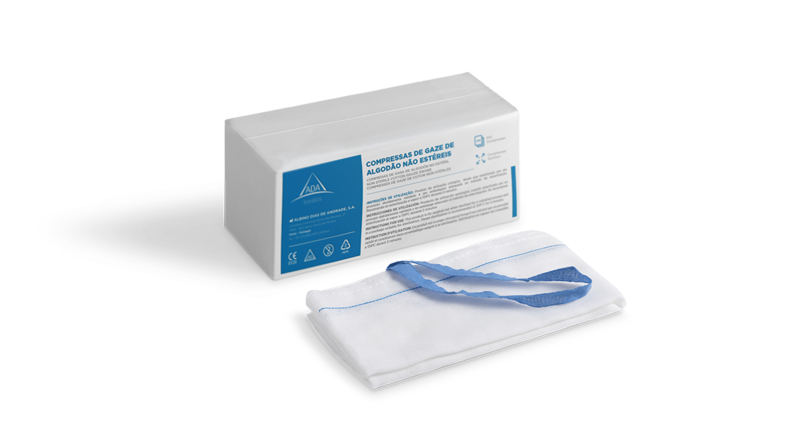 Hydrophilic cotton gauze swabs with X-Ray contrast thread and Loop for improved safety in use. Stitched edges. Available with central stitching for improved strength and firmness. Designed for surgical use. ADA SWABS non-sterile gauze swabs are produced according to the European regulatory standards, in cleanrooms as per ISO standards. Hydrophilic cotton gauze swabs, folded into several layers. Stitched edges. 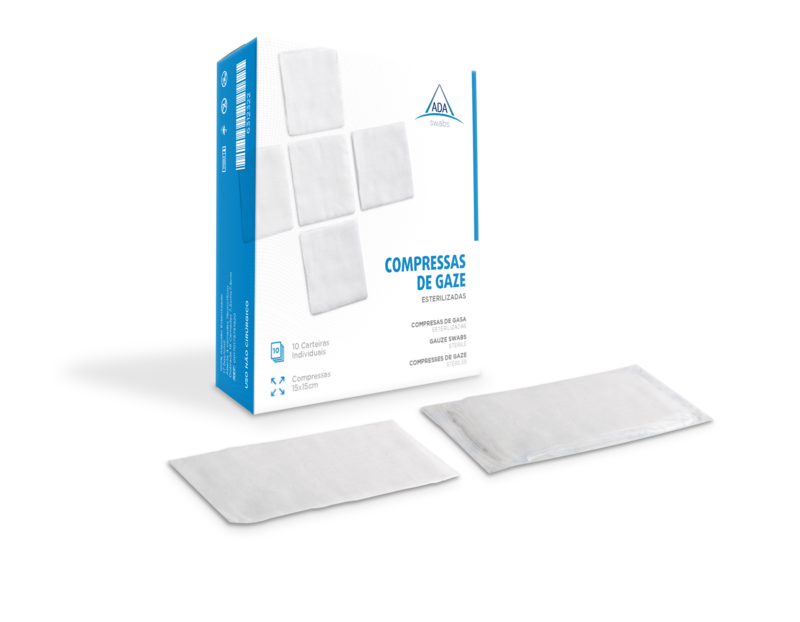 Available with central stitching for improved strength and firmness. 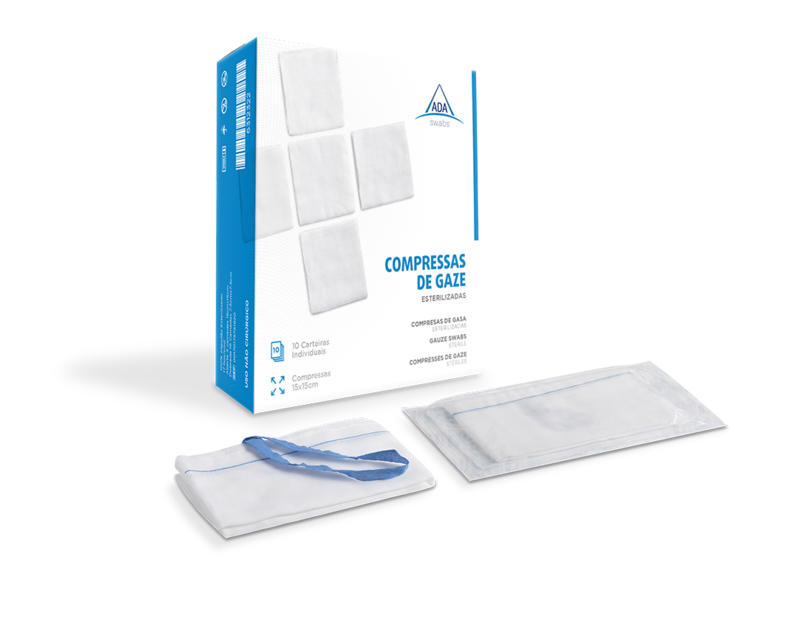 Designed for surgical use and to manage the micro-environment of a wound.